Thame (pronounced "Ta-may") Valley lies 20 miles west of Mount Everest, in the upper Khumbu region of Nepal . It is the heart of Sherpa country, a string of high-altitude villages stretching from the market town of Namche to the border with Tibet. Chances are that a man chosen at random has climbed Everest; certain is that every villager has lost a relative or friend to the mountaineering industry. Home to many famous Sherpa mountaineers, including Apa Sherpa, who holds the world record for summiting Everest 21 times, It was also a childhood home of Tenzing Norgay who was (with Sir Edmund Hillary) one of the first men to climb Mt. Everest. The guide who has seen the most clients summit Everest under his watch is Lakpa Rita Sherpa, also from Thame. Feats of human accomplishment come from here, and tragedy is also a regular visitor. When the 7.8 scale earthquake struck Nepal on April 25th, 2015; it took countless lives across the region. It also destroyed most of the homes, the school, and monuments from Thame Valley. Worst affected were the three villages of Thame-Ong (Lower Thame), Thame-Teng (Upper Thame) and Yulajung. 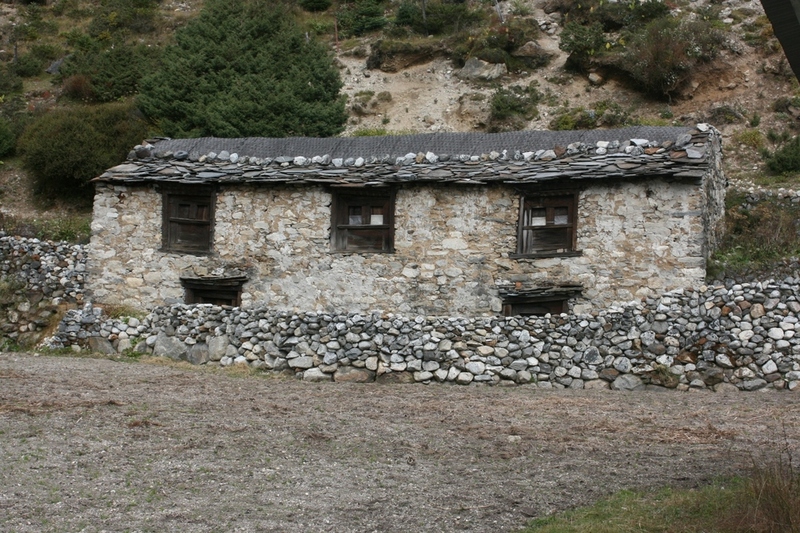 Traditional Sherpa houses of rock, timber and mud plaster were reduced to rubble. Homes that housed three generations - grandparents living with their adult children and grandchildren - and livestock, they were the bedrock of each family's livelihood. Just as the community was beginning to take stock, an earthquake of 7.3 scale struck closer to Thame Valley on 12th May, 2015. Early rebuilding efforts were wiped away, and buildings cracked by the first earthquake caved. Landslides on the trekking trail to Thame obstructed access by all but helicopter for several days. Periodic aftershocks continue, rattling nerves and morale. When there are gatherings in our valley, the women sit with the women and the men sit with the men, and the children tear about evading adult arms that reach out to obstruct their fun. The men form a long line on low benches along the front wall of the house, patriarchs sitting at the end closest to the fireplace with the wide-legged weariness of ageing masculinity; down through the established householders with their roars of laughter, past the young fathers bouncing sticky toddlers on their laps, through the self-conscious new and prospective grooms, to the awkward youths who cram together and snicker and mutter and jostle each other. I would like to share an update with all of you. Apa and our team are in Nepal on their Educational/Humanitarian Trek. The earthquake that hit on Saturday in Nepal was devastating. Apa’s village of Thame was severely damaged, 80 % of the homes collapsed including Apa’s and his family’s.